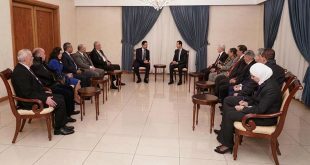 Damascus, SANA – President Bashar al-Assad reiterated on Saturday that fighting terrorism demands concerted efforts by all countries, warning of the growing international threat posed by terrorism. 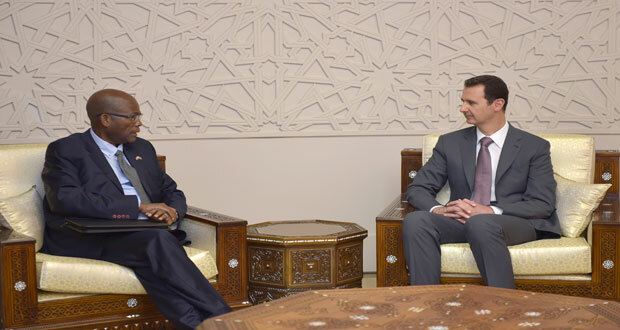 He was speaking during a meeting with South African President’s two envoys to the Middle East Zola Skweyiya and Aziz Pahad and the delegation accompanying them. 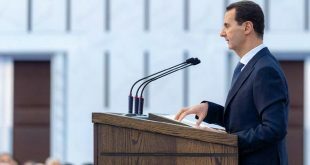 The President highlighted the dangers of the Takfiri terrorism the Syrian people are being subjected to that is provided direct support by regional sides and a cover by some Western countries that only claim to be fighting terrorism. 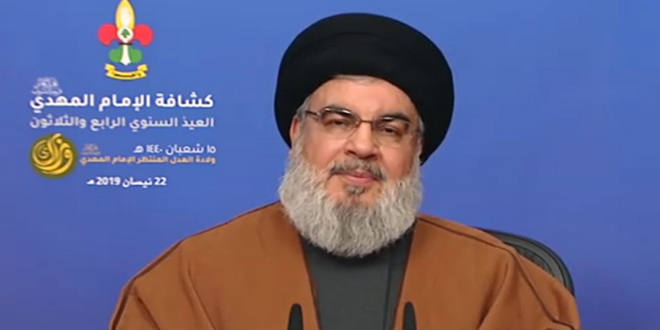 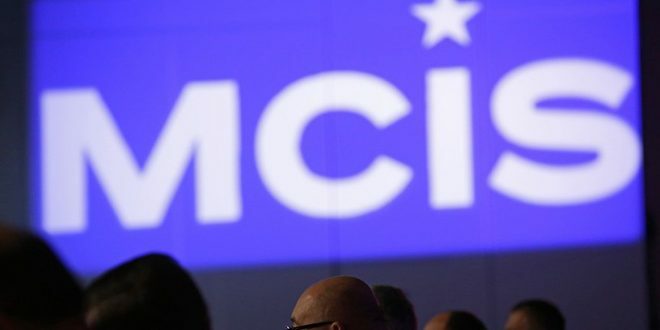 He cited the terrorist attacks that have taken place in several countries worldwide as a proof that terrorism has indeed turned into “an international problem” having at its very core an extremist ideology that knows no limits. 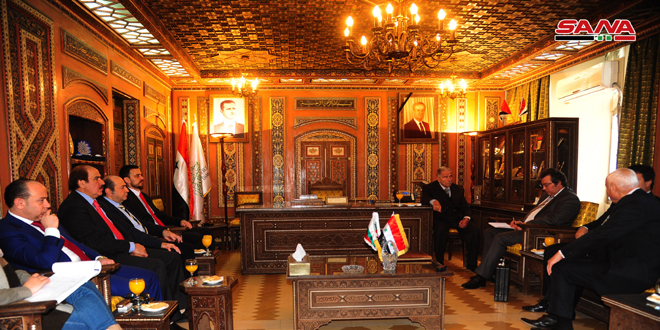 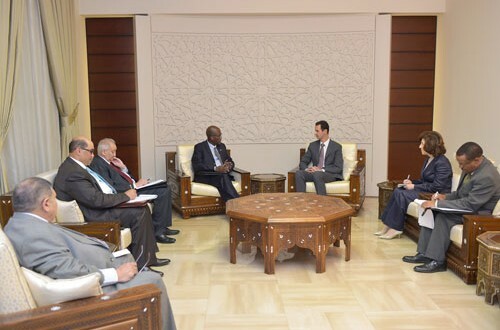 The envoys also exchanged with President al-Assad the common view shared by South Africa and Syria on the need of consolidating the world security and peace. In this context, President al-Assad told the envoys that the peoples of the Middle East region believe that the BRICS group, which includes South Africa as one of its members, is able to play an efficacious role in uniting efforts of the world countries. 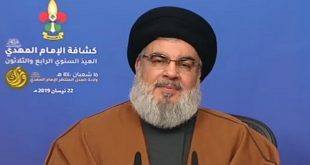 This role is seen, he added, in light of the fact that the main objective of the states of this group- which also includes Brazil, Russia, India, China- is to boost security and stability in the world through the establishment of balanced international relations and compliance by the international conventions based on respecting the sovereignty and unity of countries and peoples’ right to self-determination. For their part, Skweyiya and Pahad said South Africa will work through the BRICS group and the African Union for supporting the Syrian people in face of the terrorist war waged against Syria, saying Syria today, under President al-Assad’s leadership, is fighting terrorism on behalf of the entire world. 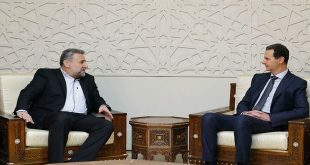 The two envoys said their country backs the efforts seeking a peaceful solution to the crisis in Syria, voicing their confidence that the Syrians are capable of finding solutions without any external interference, and that could be done through national dialogue that fulfils the Syrian people’s needs and preserves Syria’s unity and territorial integrity. 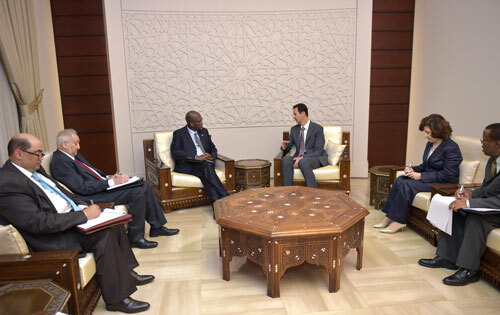 The meeting was attended by Presidential Political and Media Advisor Bouthaina Shaaban and the South African Ambassador in Damascus.